Have you thought about relocating or expanding your office? Or maybe you are an investor who has commercial properties and you are having trouble finding a tenant. Well, you have come to the right place. Linton Hall has an entire division designated solely to commercial leasing as well as to the buying and selling of commercial properties. Each of our experienced commercial real estate agents has a unique background which allows them to navigate our clients through zoning matters, site plans, and comp plans that deal with jurisdictions all over Northern Virginia. Our agents have built a vast network of attorneys, investors, architects, engineers, developers, and contractors across the metro DC area that allows us to lead our clients successfully. If you own a commercial real estate space in Northern Virginia, our specialists have the knowledge and experience to help you lease your commercial property to the right tenants at current market pricing. If you have retail space for lease or office space for rent, whether industrial or flex, our agents perform an in-depth analysis of your commercial property to include the surrounding market and sub-markets. 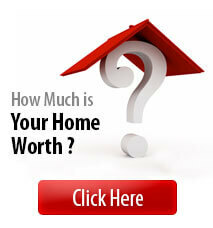 We then market your property to find the right tenants for you that will give you the best Return on Investment (ROI). With our specialized knowledge and years of experience in the Northern Virginia market, we are the right company to help you lease your commercial property. Do you need commercial real estate space in Northern Virginia? We can assist you in locating commercial property for lease in Northern Virginia. When you contact our local experts, we will get to know your business intimately. We will assess your needs in order to match the right property for your business. We can assist your business, whether it needs a more logistical location, or if your business needs maximum exposure to your target market. 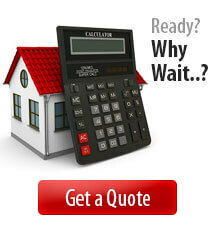 We will provide recent rental prices in the area and outline the pros and cons of each location. After you select the right space for your company, we will negotiate the best lease terms possible including tenant improvement allowances, abatement, price per foot, and length of terms. At Linton Hall Realtors, we understand the importance of having unwavering trust in your commercial real estate agent. Our experienced commercial real estate specialists will represent your business by negotiating the best terms and conditions within the lease agreement. We have your best interests at heart which is why so many businesses trust us to find the right office space for them. Why Lease A Commercial Property? Even though many business owners dream of owning their own commercial property, many prefer running their business out of a leased commercial property. Not only does this save them thousands of dollars in up-front costs, but they can also use the money they save elsewhere in their business. Leasing allows you more flexibility and lower up-front costs. A security deposit and first month’s rent is usually all that’s needed to begin a lease. And, leasing gives your business the flexibility to expand and contract as needed. Whether you have a property you want to lease out or you need to lease a commercial space for your business, we can help. A commercial real estate broker will be happy to guide you through either process and answer all your questions.